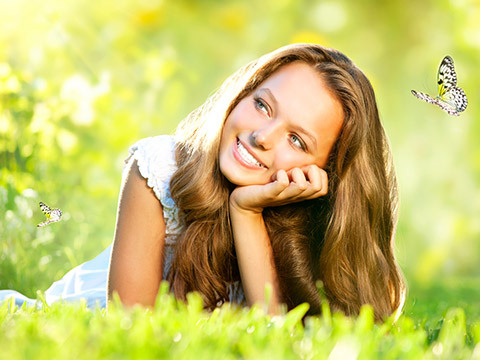 There are a vast number of herbs used to treat any almost any ailment you can think of. 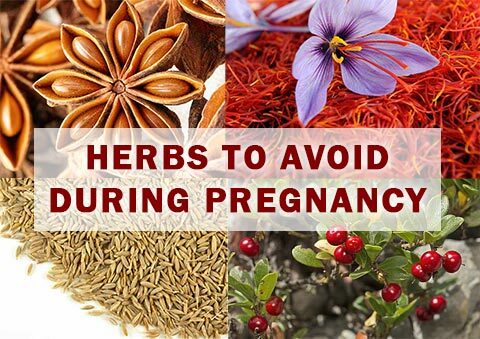 There are of course herbs to avoid completely during your pregnancy. Seeing how certain herbs become a balance between life or death in unborn babies, one can only imagine what they really do in adults when given certain amounts. Always check with your doctor before taking any medication. Examine the labels of the herbal vitamins you have currently at home, or those you plan to purchase at the store. Look for any of the following plants on the labels. Thuja Occidentalis, also called Arbor Vitae. This can be potentially fatal to a growing fetus. This may bring on your menstrual cycle by force, and cause uterine contractions. If you have irregular cycles and are not pregnant, please be advised that you must contact your doctor before taking this or any herbs to stimulate your menstrual period. 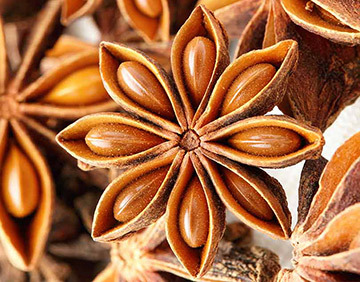 Anise or Aniseed oil, also known as Pimpinella Anisum. The Anise itself is safe in small amounts. The Aniseed oil should be avoided altogether. May bring on early contracts and possible miscarriage. 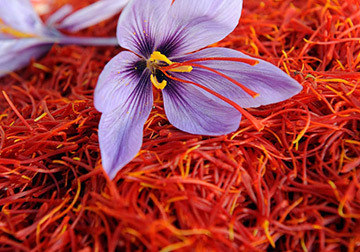 Saffron can lead to miscarriage and other problems. 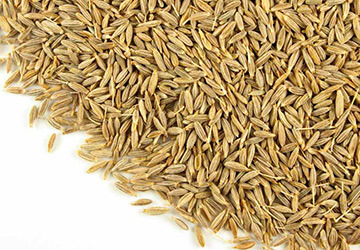 Cumin seed or powder. This is typically used in India. It is a flavour enhancer that spices up stews, meats, and vegetables. It can cause pre-mature labour, miscarriage or cramping. If you are planning to go out for lunch of dinner, ask the waiter/waitress if Cumin powder or seed is added to the meal you are interested in. 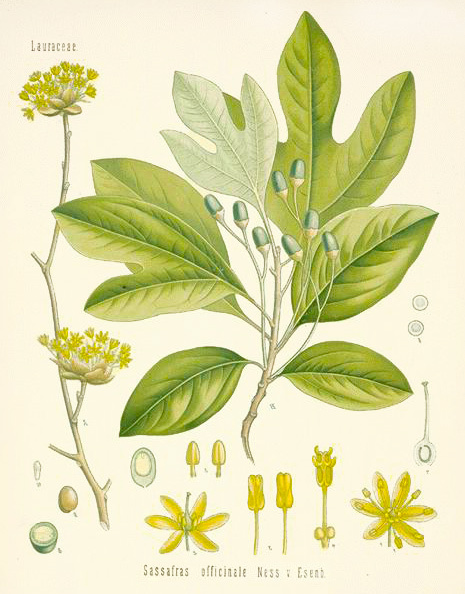 Sassafras Albidum, also known simply as Sassafras. This known to cause birth defects and uterine contractions that may or may not lead to a miscarriage or pre-term labour. Black Cohosh, also known as Actaea racemosa. Do not take this herb unless your doctor has specifically told you to. It promotes early contractions. Blue Cohosh is an uterine stimulant. Colichicum Autumnale. Also known as Autumn Crocus. This may cause birth defects due to abnormal cell division. This is especially dangerous in the first trimester of pregnancy. Golden Seal. Also known as Hydrastis Canadensis. This is considered a uterine stimulant, and can lead to pre-mature labour or miscarriage through strong contractions. It is too powerful as an antibiotic. Cinchona Officinalis. Also known as Peruvian Bark. Typically given to malaria patients, this herb can cause the mother-to-be to slip into a coma, become permanently blind or even die as a result. If you see this herb added in your herbal mixture, do not use it. It can be highly toxic. Glycyrrhiza Glabra. Also known as Licorice or Liquorice root. If you intake too much Licorice, your blood pressure may skyrocket. Eat Licorice in moderation. Angelica Polymorpha Var. Angelica Sinensis. Also known as the popular Dong Quai. This herb can bring on strong contractions and should be avoided during pregnancy. Petroselinum Crispum. Also known as Parsley. Use this in moderation in the meals you prepare. As innocent Parsley seems, it can make your baby restless if you eat too much of it. in addition, Parsley is considered a uterine stimulant, which may lead to miscarriage. Motherwort and Mugwort can stimulate uterine tone, can bring on menses. Comfrey (comphrey) can cause liver problems. Use only externally. Rue (genus Ruta) – strong expellant. Other herbs, household spices and oils to use in moderation are: Oregano, Peppermint oil, Marjoram, Fenugreek, Celery seed, Celery oil, Thyme oil, Nutmeg, Horsetail (Equisetum), Pennyroyal leaf, Arctostaphylos uva-ursi, Shepherd’s Purse, Yarrow, Henbane, Bitter Orange, Basil oil, Borage oil, Sage, and Sage oil. The ones just mentioned have been known to cause pre-mature labour or miscarriage and should be avoided while pregnant.